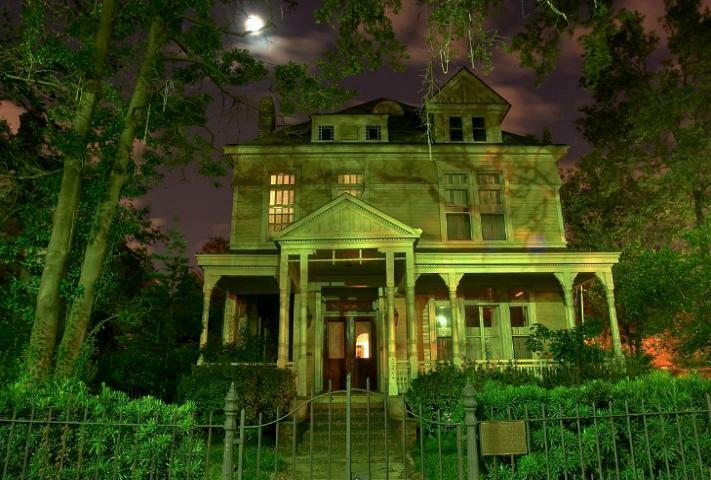 A full moon shines on one of St. Charles Avenue's lovely historic homes. Louisiana. It has been added to the National Register of Historic Places.